The notification for the first phase will be released on February 8. The last date of nomination is February 15. The scrutiny of nomination will be on February 16. The last day for withdrawal of candidature will be February 18. In the second phase, for 22 assembly constituencies, the election will be held on March 8, 2017. The notification will be released on February 11. The last date of nomination is February 18. 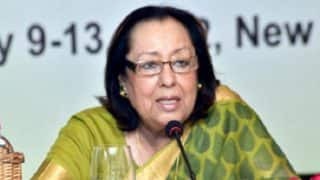 The scrutiny of nomination will be done on February 20. And the last date of withdrawal of candidature is February 22. The votes will be counted and the results will be declared on March 11, 2017. 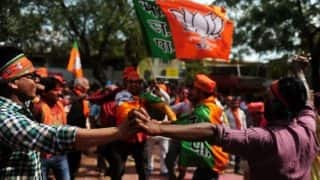 Congress (INC), Trinamool Congress (TMC), Rashtriya Janta Dal (RJD), Nationalist Congress Party (NCP) and Bharatiya Janata Party are the key political contenders in the state. Peoples Resurgence and Justice Alliance (PRAJA),a new Political party will step into the elections for the first time. 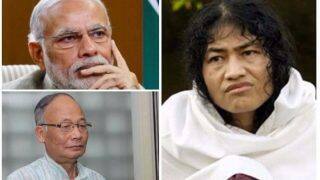 The party belongs to Irom Sharmila, the ‘Iron Lady’ of Manipur, who in August 2016 ended her 16-year long fast protesting against AFSPA in state. 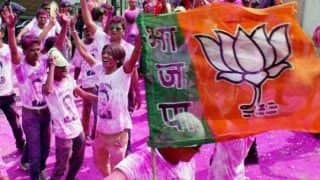 With the result of Assam election, BJP's hopes will be sky high. 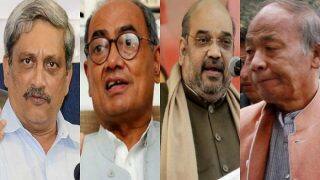 Also, the party will step into elections with the aim of ‘Congress Mukht Bharat’. On the other hand, the ruling party in state will go all out to retain its position and to make a mark in the 2019 general elections. 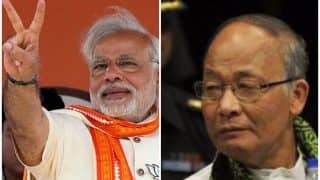 TMC chief Mamata recently vowed to either die or remove PM Modi from politics will also play a major role in the elections of Manipur. 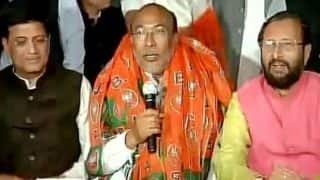 Mamata, also known as Didi, will make all efforts to not allow BJP to take the centre stage at Manipur. 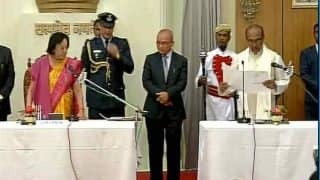 Having a varied and proud history from the earliest times, Manipur came under the British Rule as a Princely State after the defeat in the Anglo-Manipuri War of 1891. After independence, the Princely State of Manipur was merged in the Indian Union on October 15, 1949, and became a full-fledged State of India on January 21, 1972 with a Legislative Assembly of 60 seats of which 20 are reserved for Scheduled Tribe and 1 reserved for Scheduled Caste. 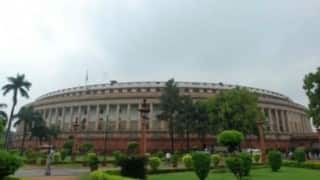 The State is represented in the Lok Sabha by two members and by one member in the Rajya Sabha. 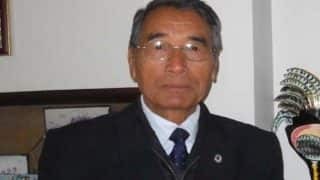 Given the context of the ongoing violence and economic blockade which has shadowed the state for more than 2 months now, it is perhaps difficult to ascertain any popular opinion on which party has a chance of sweeping the elections with a majority. The recent creation of seven districts by the Congress-led government under Chief Minister Okram Ibobi Singh while pleased the Meiteis of the state, it has largely upset the Nagas residing in the state, who has claimed this creation of district without consulting them as an attempt to suppress their rights. In protest, they created an economic blockade by blocking the National highway 2 which has reportedly worsened the situation in the state. The Central government deployed 17,500 to counter this block and this has irked the Naga bodies as they claim this is a nexus between the Central and the State government. 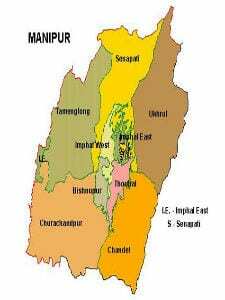 Manipur has two parliamentary constituencies: Inner Manipur and Outer Manipur. 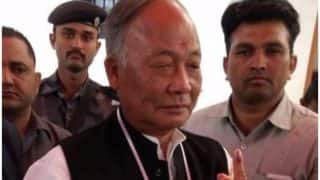 The outer Manipur constituency is reserved for Scheduled tribe candidateThe Inner Manipur parliamentary constituency has 32 legislative assembly seats. 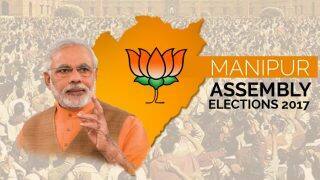 The Outer Manipur has 28 legislative assembly seats. 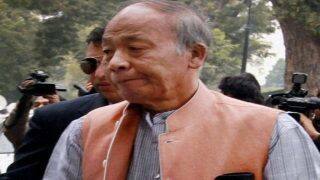 Manipur has had a stable government since 2002 with the INC in power. The last state assembly elections were held in 2012. The INC trounced all to win 42 out of 60 seats; the All India Trinamool Congress won 7 and the MPP won 4. Kant Paul is the Governor of the state. 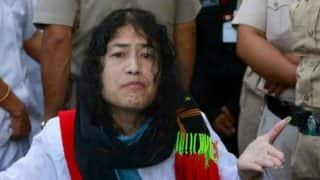 People Rejected me, Don't Want to Return to Manipur, Says Irom Sharmila: Is it The End of Her Fight? 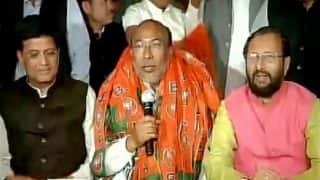 Manipur Assembly Election 2017: Post result is the balance heavier on BJP's side?